Cyberbullying Support Community – Dear parents of gamers, part 3 ARK:Survival Evolved. 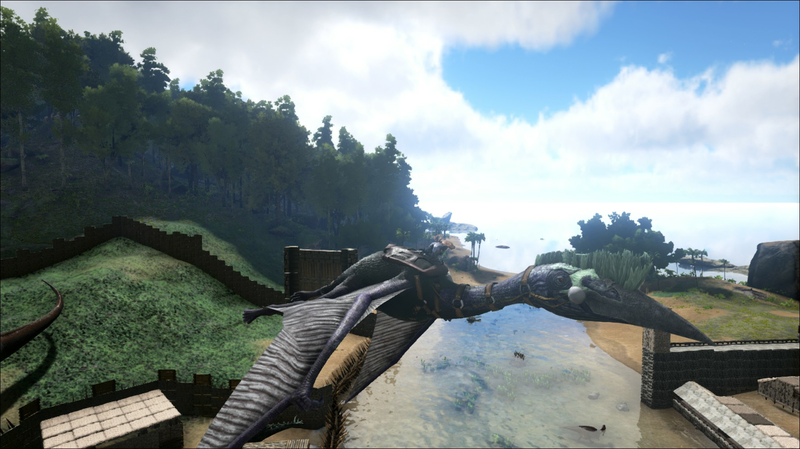 Dear parents of gamers, part 3 ARK:Survival Evolved. Well, it's been a while, i can't say that it's been just me being busy (Though i have been a bit busy) i can safely say my laziness is the one to blame for this whopping one year gap that seperated this post and my minecraft post. But today i'll be informing you on the survival game ARK: Survival evolved. and pretty much anything else that has a variable. Fun base building (Nothing better than a fortress of your own gaurded by a T-Rex. Well the dinosaur itself was called a Quetzalcoatlus or quetzal for short. It's a GIANT bird that is able to pick up an enormous amount of dinosaurs up To say the size of it, well it's able to carry a mammoth with ease. The bird behaves where it will stay put in my base until i need to go out on it to relay large quanitites of metal from the mountains or if i need to carry a creature to a safe place if i want to tame it. This is a picture of the bird. You see that tiny shiny thing on its back? thats the size of a 7'2 human. Big bird. Seven hours IRL taming the dinosaur? That's EPIC! How does it behave now? ?